Since its introduction in 2011, Google Plus has been the subject of a lot of skepticism and scrutiny. This was due to the fact that most most of us (myself included) did not truly understand what Google Plus, or G+ as it often called, was all about. Over the past 3 years, G+ has a grown exponentially and is now the second largest social media platform with a staggering 235 million active users. This post will go into the the 5 keys to Google Plus that any beginner can use to begin navigating the platform like a pro. 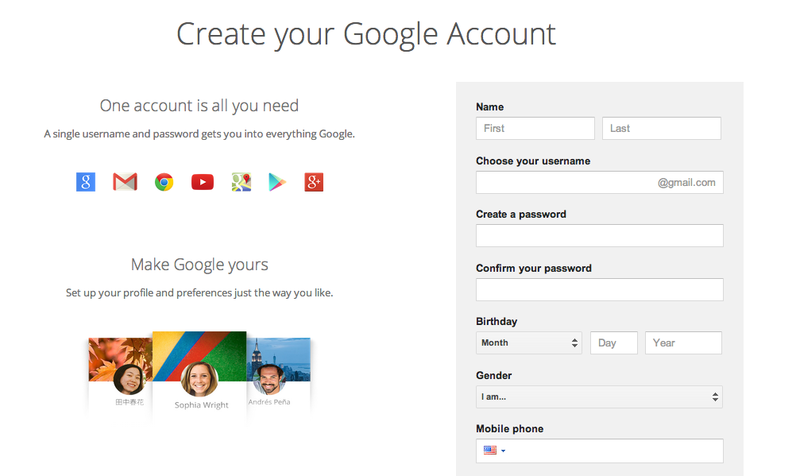 In order to have a Google Plus profile, you will first need to get a Google account if you don’t have one already. All you need to do is go to http://plus.google.com/ and fill out a quick form and then you’re on your way. After that you will be able to customize your profile and add a picture. I included my profile as an example (aren’t we adorable?). Once you have prettied up your profile you will directed to Gmail, which is Google’s email service. From there you can click on the +YourName link in the upper right corner and be taken to your Google Plus homepage. 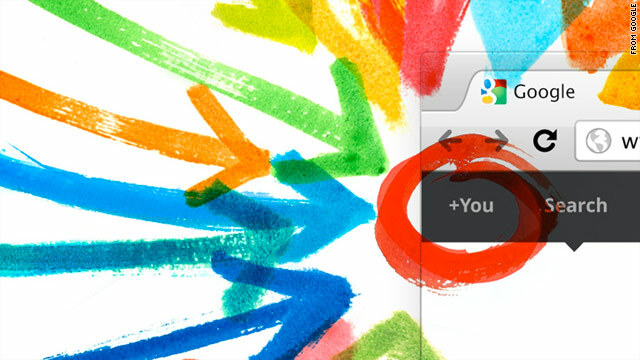 Now you can create Google Plus Circles and add all your friends and family. 2.) Circles (What Are They and How Do I Use Them)? Once you get to the Circles screen you will be prompted to add people you know or select people that you want to follow. Think of it as a list that you get to set up so that you get to decide what to share and with who. It’s very similar to Twitter in the fact that when you follow people you will see all of their public activity in your stream. You have the ability to add new people to either the default “Friends”, “Acquaintances”, “Following”, or “Family” circles or you can choose to create your own. Think of Circles as filters that you can use to decide who to share content with or not. They only see what you choose to share with them. Once you add someone to a circle they will be notified but will not know which circle you have them in or who else is in it with them. On the left hand side of the platform, you will see 10 options to choose from including “Profile”, “Circles”, “Communities”, “Photos” and “Hangouts” to name a few. The right side of the stream holds the Hangout Box in which you can use to text or video chat with people from a list. In the center of the screen there will be posts that are coming from your various circles. You can filter through them by selecting one or the other. In this view you will only see what is being shared in that particular circle. You will also find posts that Google has deemed popular at the time. Interacting with posts is pretty simple and intuitive. On any post you can +1 it (which works just like a Facebook “like”), share it, or comment on it. In the upper right corner there is a downward arrow that allows you embed the post into a website, link it, mute it, or view its activity. Since we know how to interact with a post, now let’s create one. Google Plus makes it ridiculously easy to create new posts to either a large group or a small segment of your friends list. The first step to creating a post is to type your message into the message box. Next you want to decide whether or not you want to add an attachment (photo, link, video, or event). Finally you decide which of your circles you want to share your post to – could be as simple as “Public” or with just one person. Google Plus also allows you to tag your friends just like on Facebook. All you have to do is add a “+” before their name. Now that we have all these new friends and know how to post messages to them, let’s explore one of the coolest features of G+, the Hangouts. Google Plus Hangouts has quickly become the most popular tool of the platform and is pretty simple to use. It comes in three different formats. A Google chat which is the text only version that is very similar to texting or in my opinion Blackberry BBM. The two other versions are private Hangouts which allow you to have a video chat with some of your buds, and Hangout On Air. For the remainder of this tutorial we will stick to the last two. Hangouts can be great options for people that want to have a video chat with up to 10 other people that have Google accounts. It is private and can only be viewed by those who are sent a special link to join in with. Hangouts On Air (HOA) are a different type of animal but still very useful especially if you own a business or want to host a video conference with a large number of people. HOA can host up to 10 people but the host can broadcast the Hangout and it can be viewed publicly by any number of people. Make sure to have good lighting because you will want everyone to be able to make out your smiling face. Keep headphones close in case there is audio feedback on your end. If possible, make sure to host your Hangout in a location where you have high speed internet and a good strong signal. This tutorial is only the tip of the iceberg of the feature rich Google Plus environment. For those that are G+ rookies, this will be enough to get you rolling.